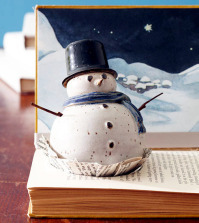 We all dream of a white Christmas. 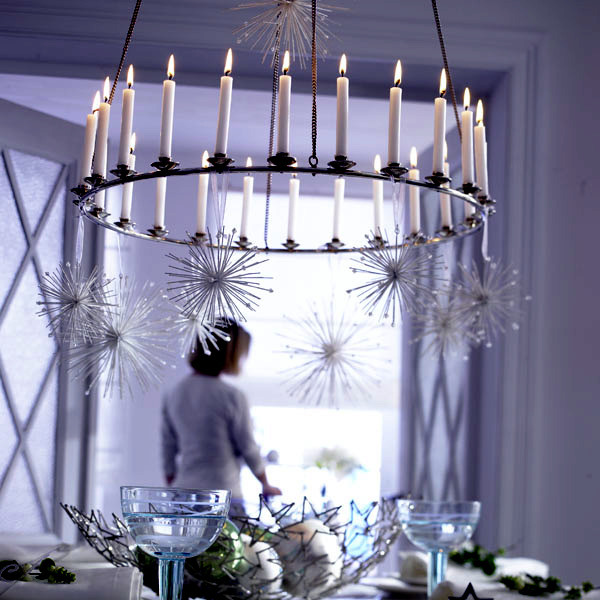 The sparkling snow flakes and dance are something rarely seen in some areas. 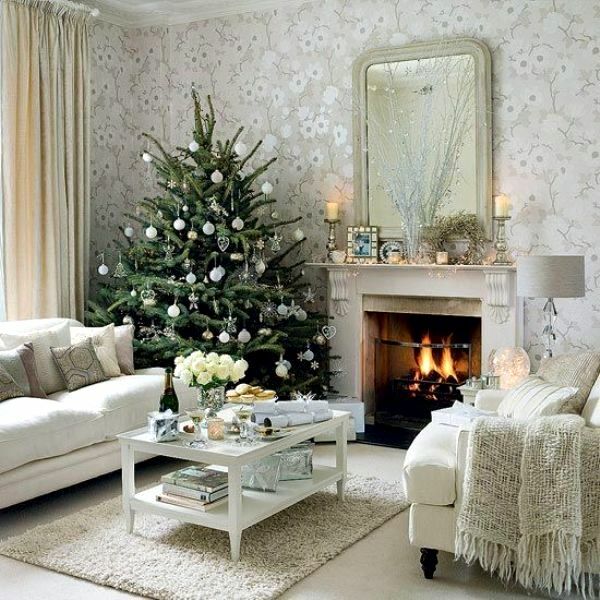 But we can enjoy the pure white at home. 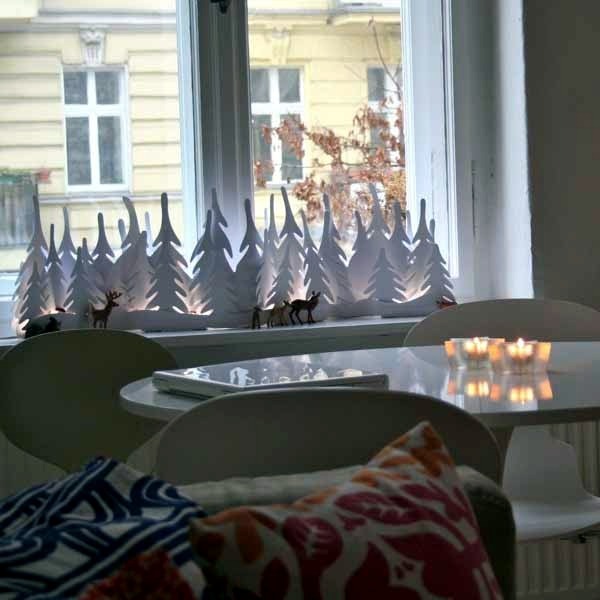 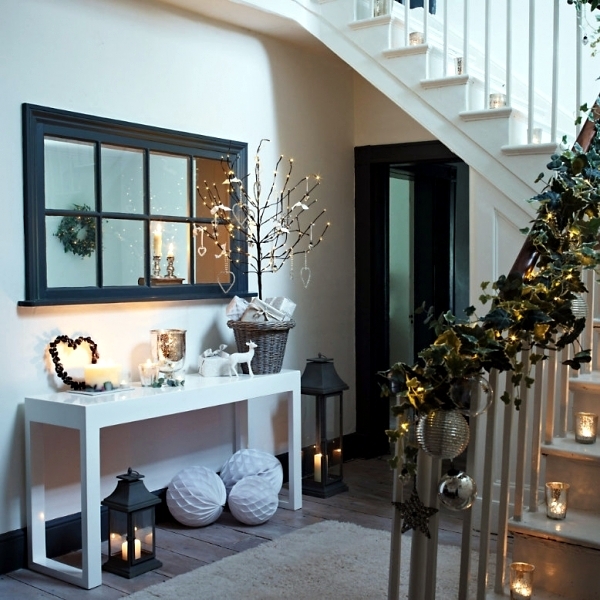 Here are some spectacular glossy white decoration ideas for winter and the Christmas season that could help create a snowy environment at home, despite the weather conditions. 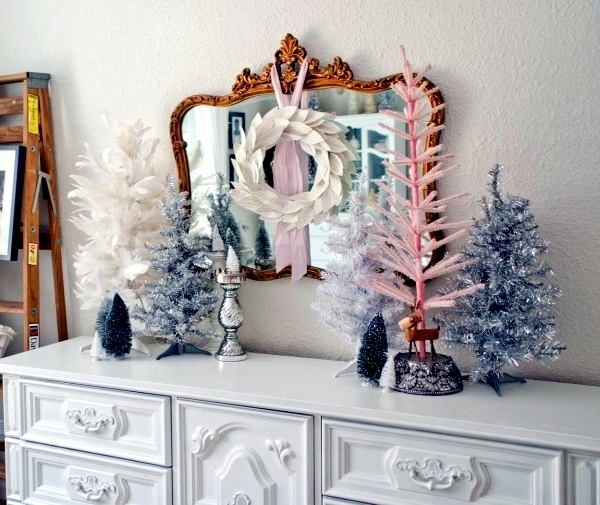 To transform your home into a paradise white, it's easy. 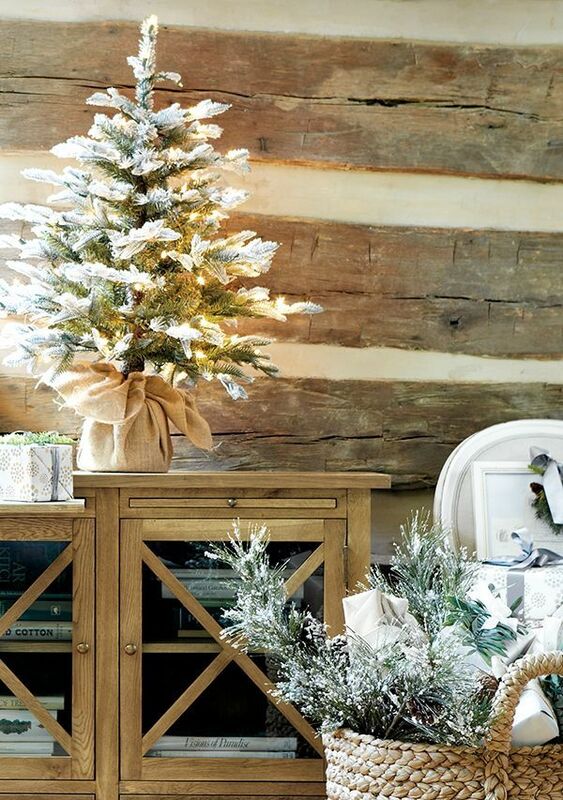 Start with the Christmas tree. 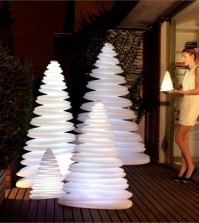 Today, artificial Christmas trees are available in white on the market. 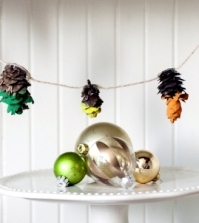 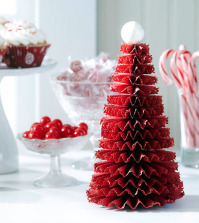 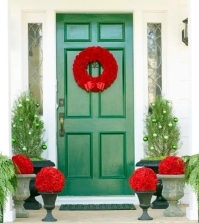 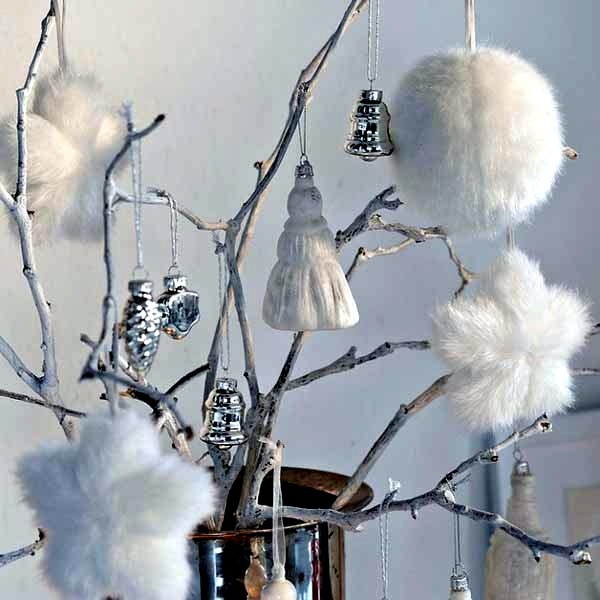 They are stylish and elegant, but if you have a natural tree, you can spray the branches with artificial snow. 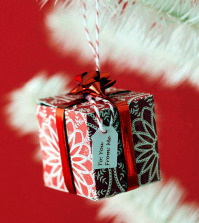 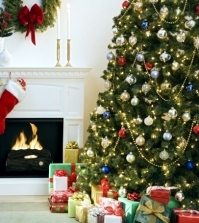 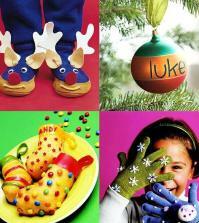 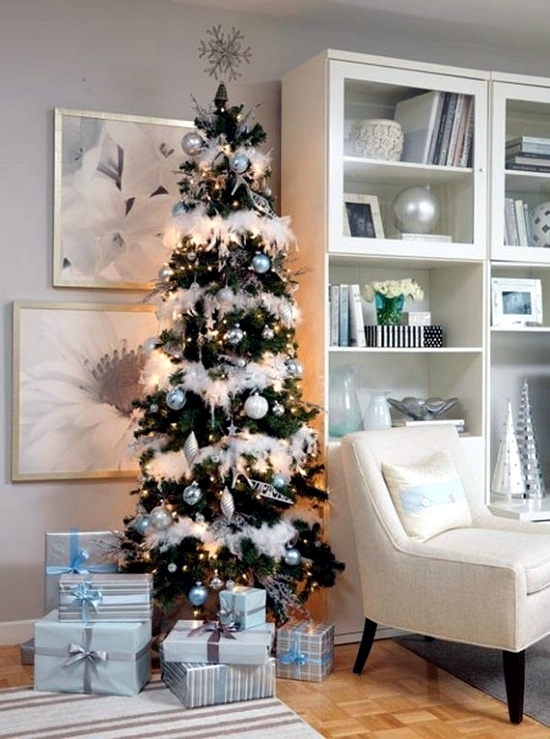 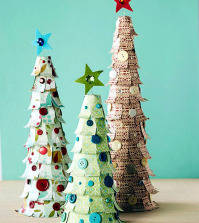 Buy Christmas tree with silver, which will focus on the theme of white decoration. 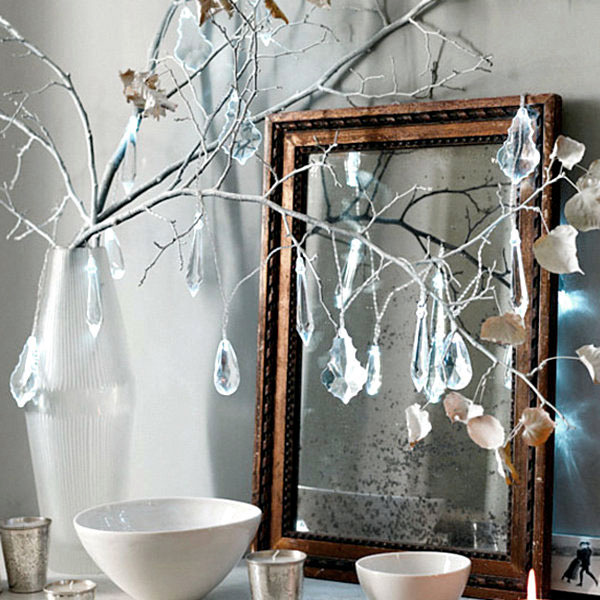 Ornaments made of glass or transparent plastic are also very good and reflect light as if by magic. 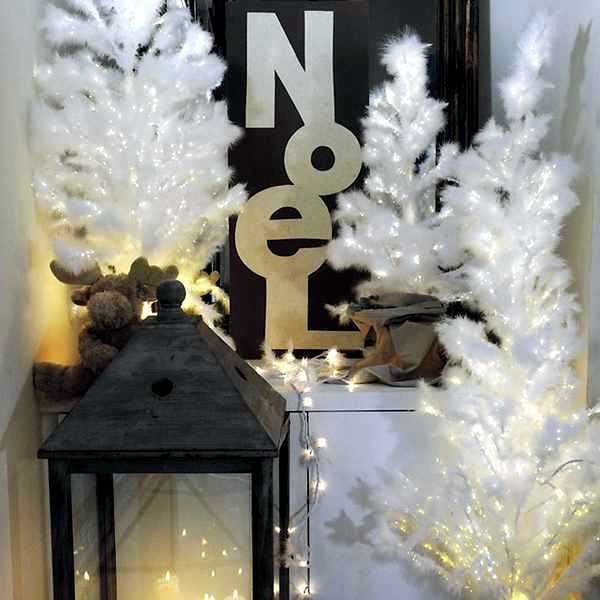 If you want to highlight the bright white color, it adds a lot of lights. 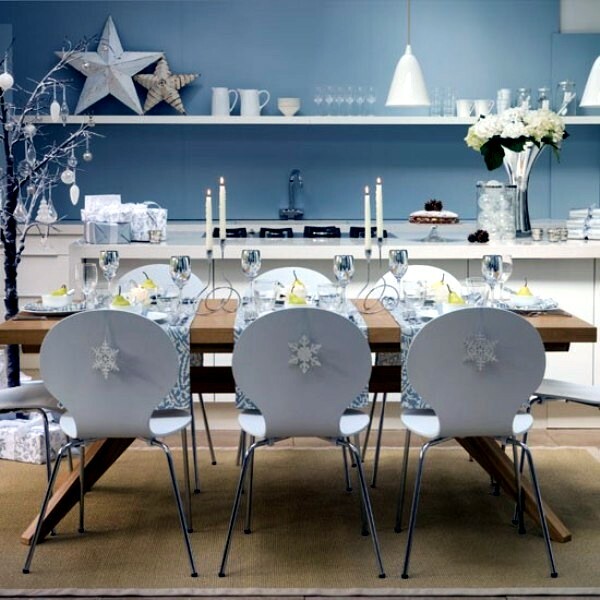 An advantage of the white color is that it can easily be combined with any other color. 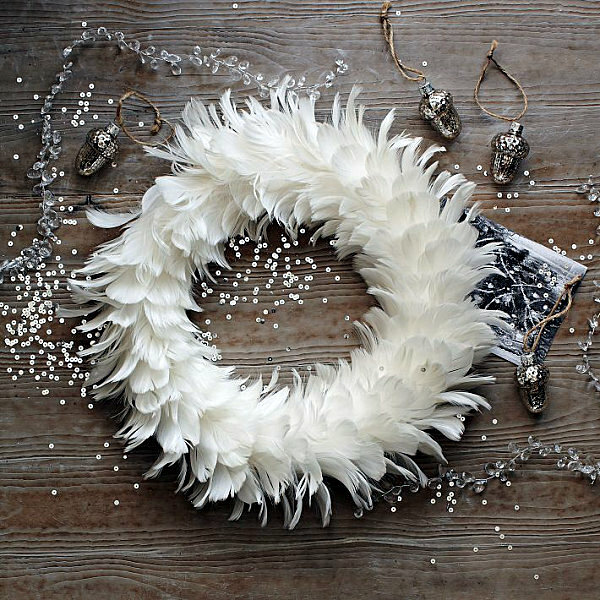 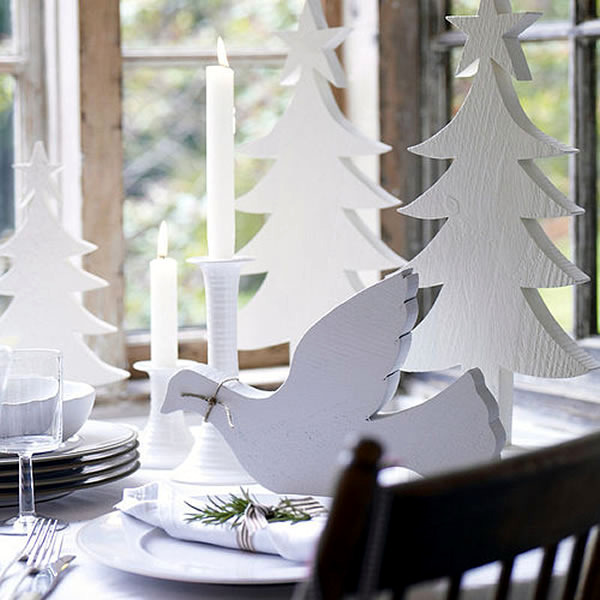 Decorate your Christmas table with off-white and silver. 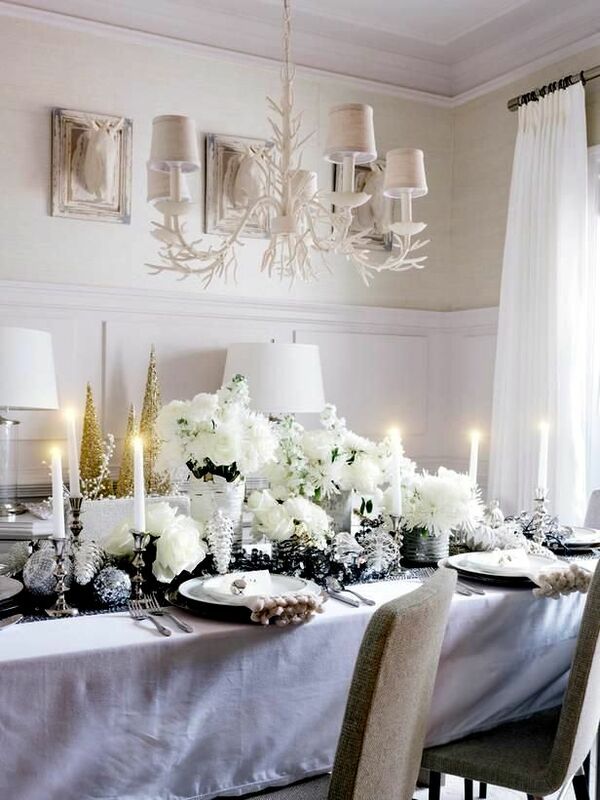 White linen, chair cover, towels, dishes in the background. 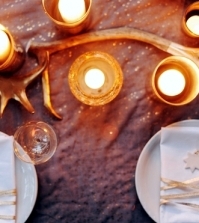 Then add a touch of silver with silver objects such as candlesticks and napkin rings. 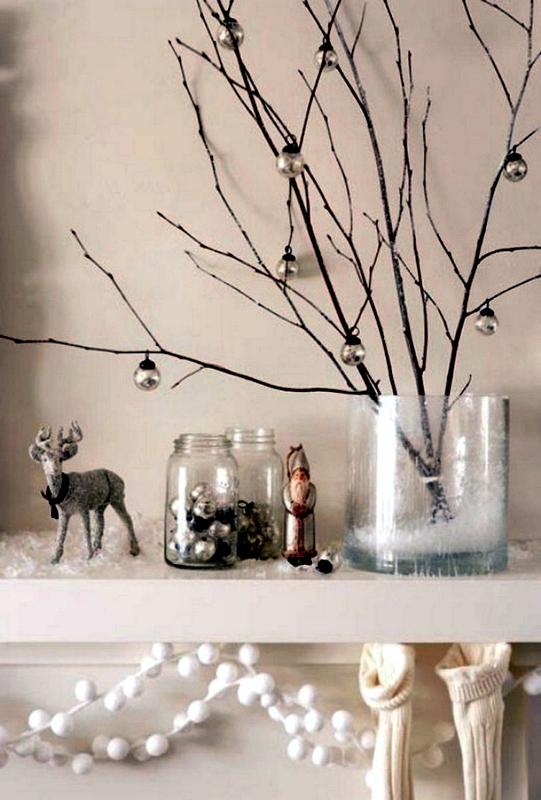 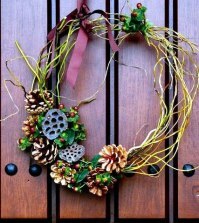 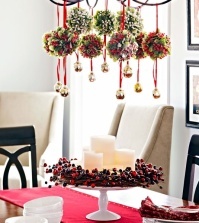 Another idea is to put beads and pieces of glass in a glass vase or a table. 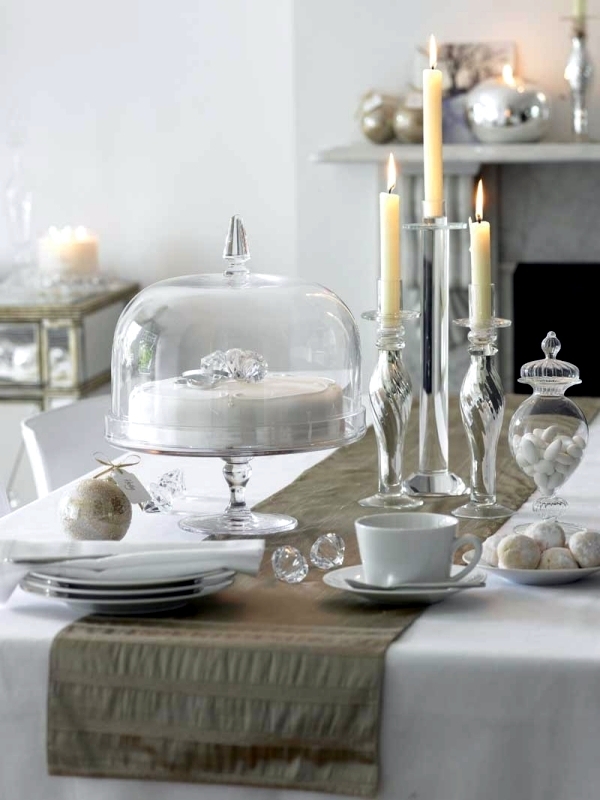 The combination of black and silver will get the right amount of shine on the Christmas table. 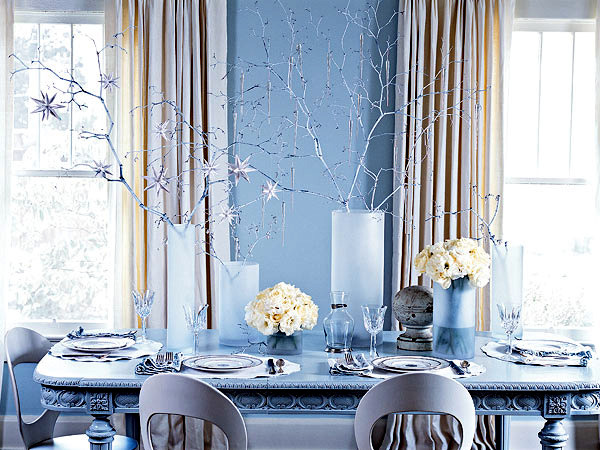 Find your inspiration among these pure white decoration ideas.